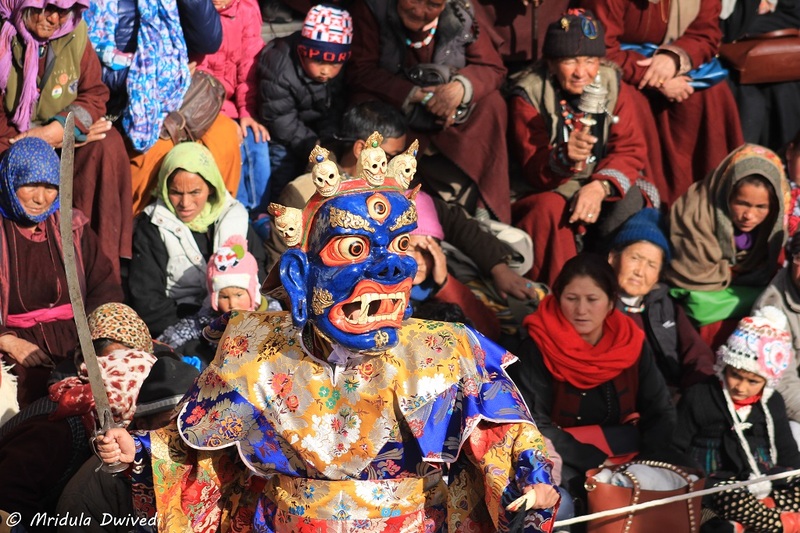 When you get to visit Ladakh within the first ten days of a new year you know it started on the right note. 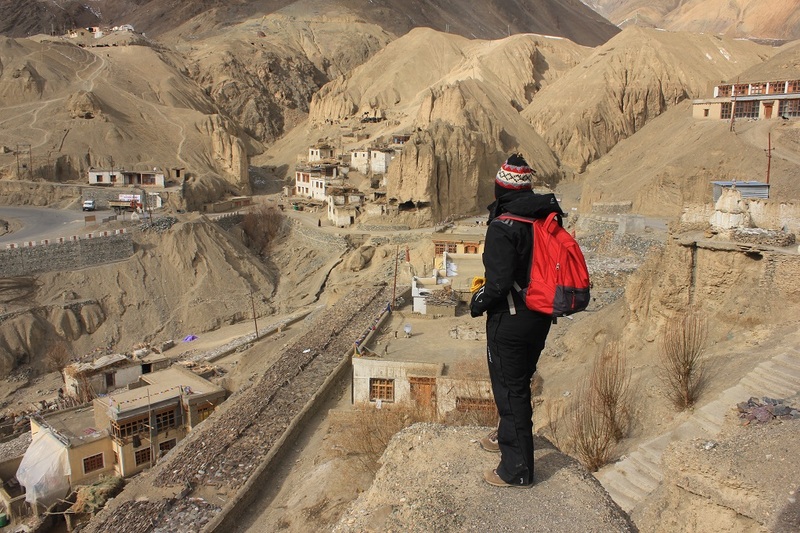 Ladakh is really special for me. It was the first place I wrote about on this blog! 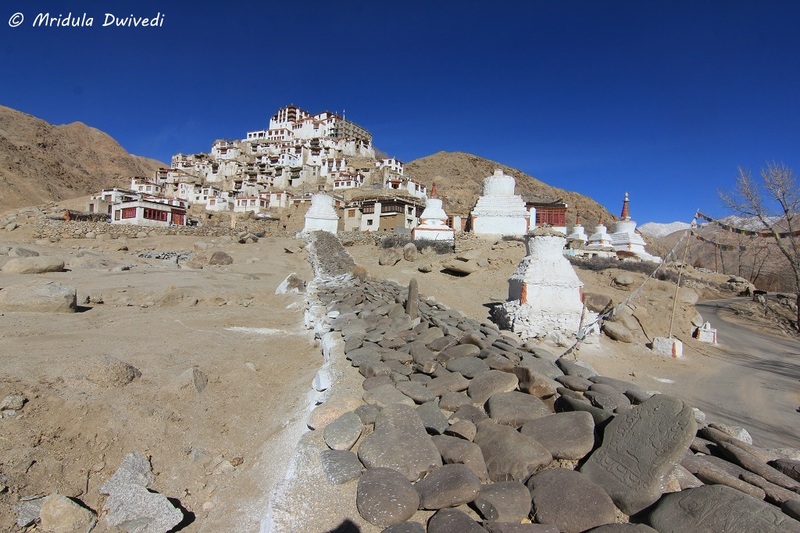 My life looked up after I visited Ladakh in 2005, I am hoping for something similar after this visit a decade later! 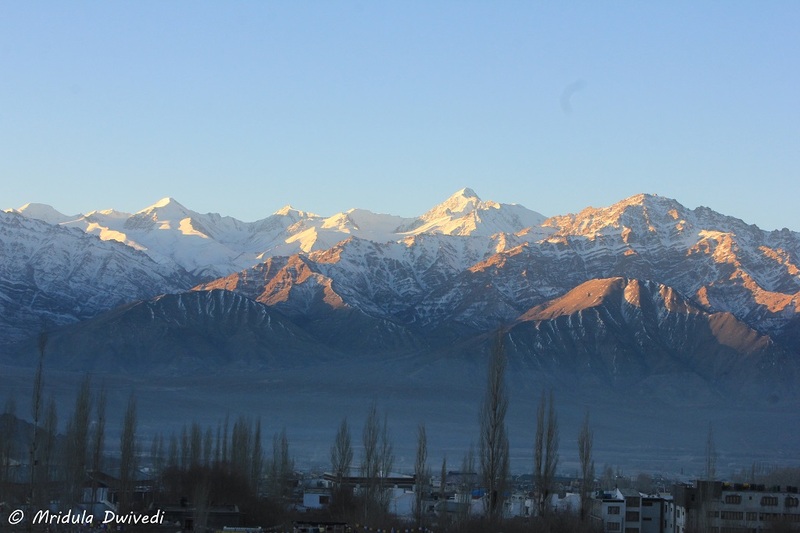 To begin with here is Ladakh in winter in pictures! My hosts for this trip were The Grand Dragon Ladakh. With the temperatures in minus for most of our stay, I appreciated my centrally heated room a lot! This post is an overview of my trip. 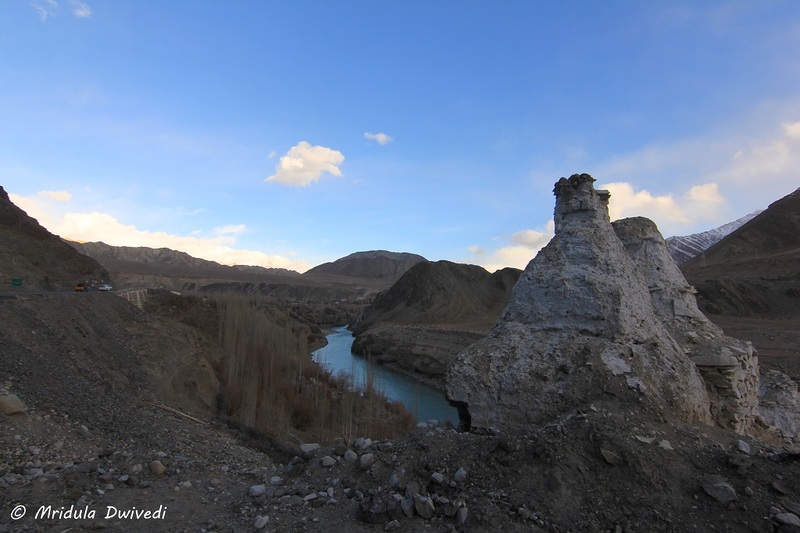 You will get to read in detail about the various aspects of visiting Ladakh in winter later! I am so grateful to the Grand Dragon and their PR partners for providing me a fabulous start to 2016! My room faced the Sotk Range of mountains. This was the view I woke up to daily. As Leh is at the height of 11,500 feet we took the first day easy and just lounged about in the hotel! 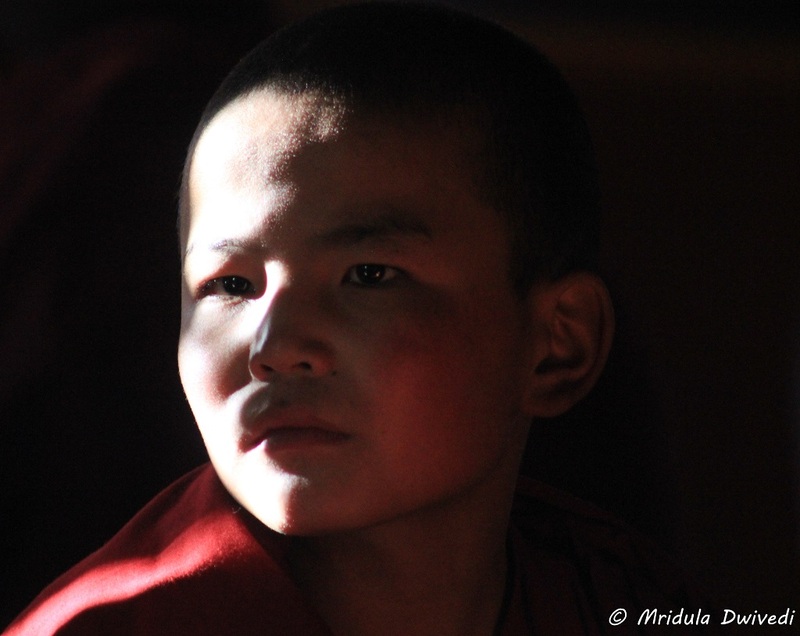 One of the highlights of our trip was attending the first day of the Gustor festival at the Spituk Monastery. In a crowd of thousands there must have been about 40 odd tourists, out of which our group contributed 14 members! The mask dance festival was attended primarily by the locals! 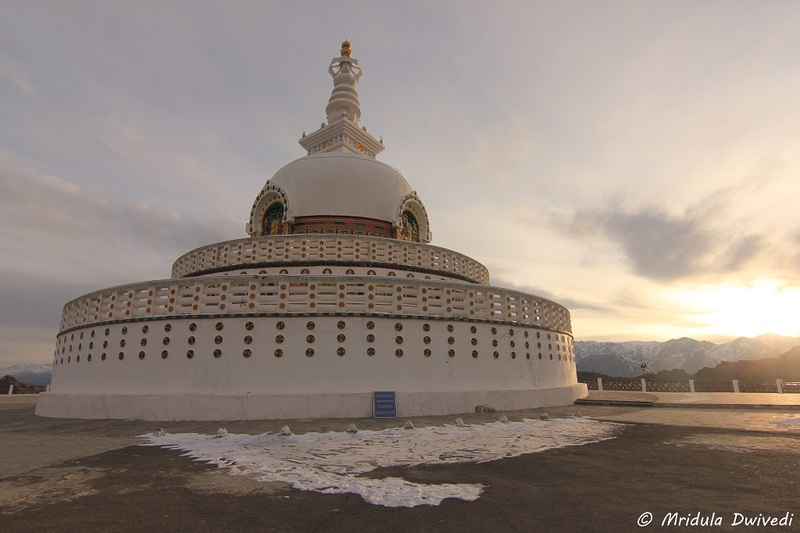 Our second stop for the day was at the Shanti Stupa in the evening. With the temperatures firmly in minus, it was cold! I was happy to head back to the heated car and the heated hotel! We had a long day on Day 2 and I was looking forward to it! Our first stop was supposed to be Chilling, the starting point of the Chadder Trek. 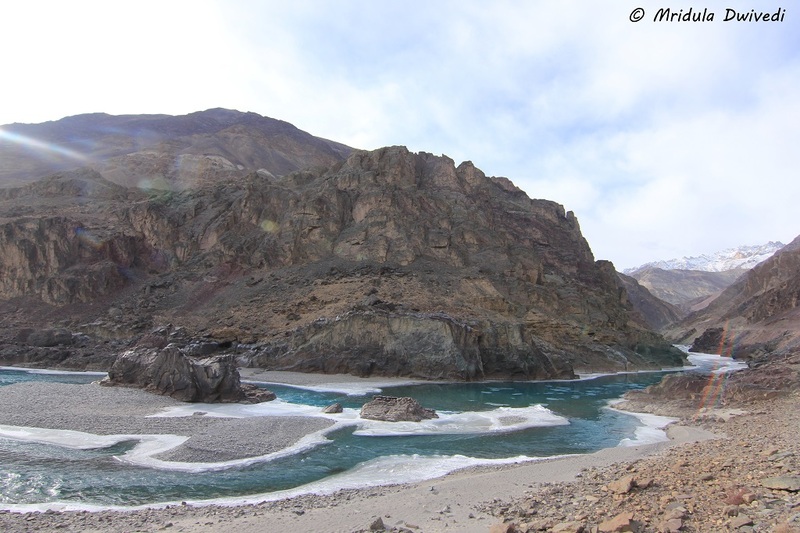 But as the Border Roads Organization (BRO) was blasting about 10 km before Chilling we had to give up our quest but not before we saw the beautiful Zanskar River trying hard to freeze. Looking out to Lamayuru Village! We stopped at Lamayuru Village first. It has a fabulous monastery where we were the only visitors! 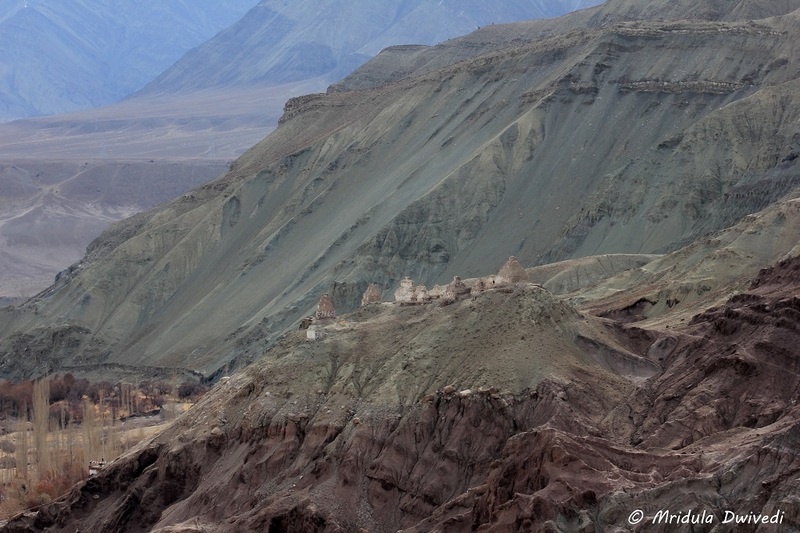 It is beautiful as any village in Ladakh! 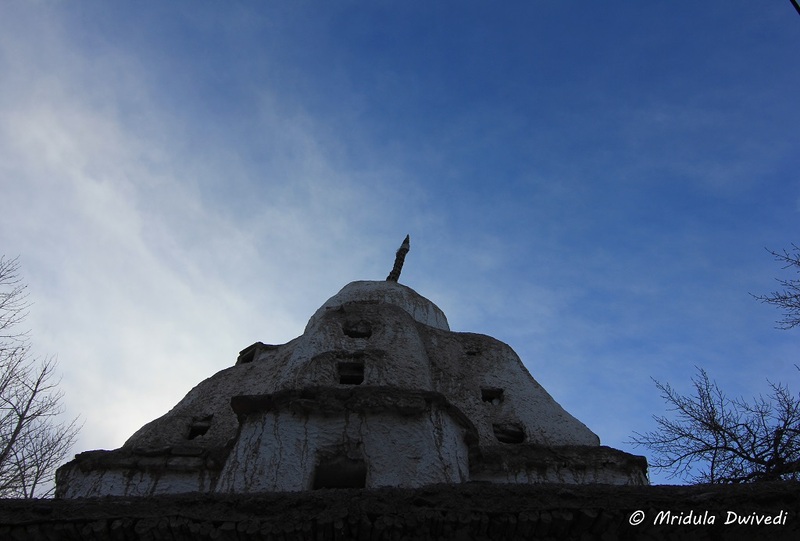 Alchi is one of the oldest monastery in Ladakh. It has four complexes with stunning paintings on its walls. To preserve it, no photography is allowed inside it. Day two was equally memorable for the beautiful landscapes we saw all along our drive. We gave the drivers a very tough time, asking them to stop almost at every bend! This was somewhere near Lamayuru! Our young driver Tashi was extremely patient with us. On this day I was sharing the car with fellow bloggers Swati and Sam and we had a wonderful time! We attended the morning prayers at the Thiksey Monastery to start the Day 3. While this was not the first occasion when I attended the prayers at a monastery it was certainly a first in the winter! It was followed by the breakfast at a local village nearby. We shared the Chemdey Monastery with a few locals. There were no tourists other than us! It was certainly cold but it was a pleasure to have almost the whole Ladakh to us! Our last official stop was at the home of a local oracle. But we made many unofficial stops while coming back to the hotel! This in nutshell was my first trip of 2016. 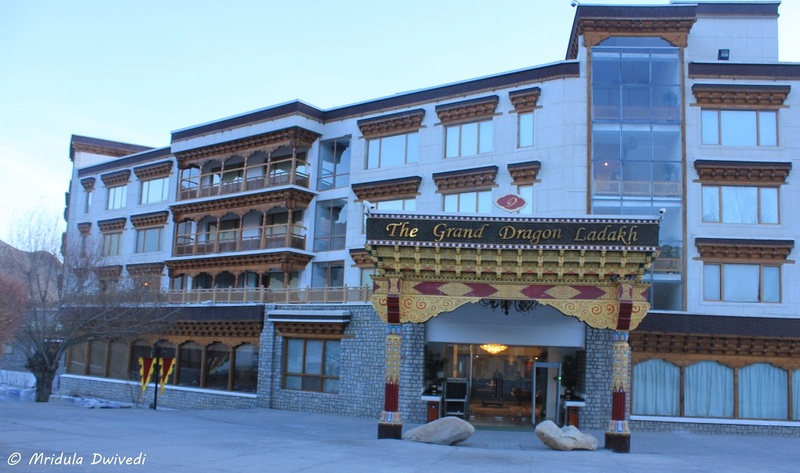 I am blessed that I got to see winter in Ladakh with my base at the luxurious Grand Dragon Hotel. 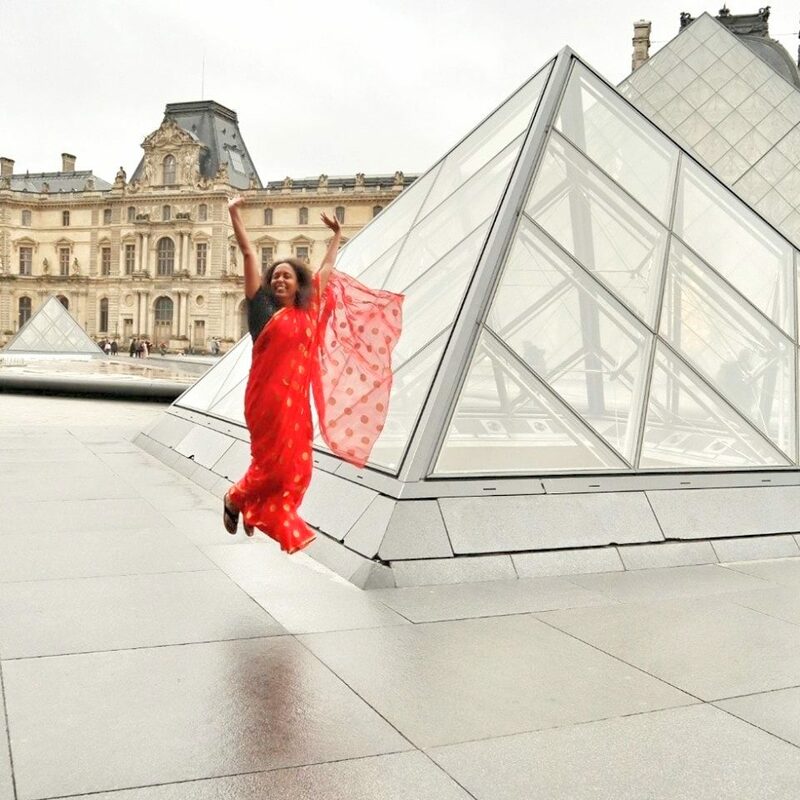 I will write separate, detailed posts on each of the aspects of this cherished trip. But to begin with, I could not resist showcasing the pictures from the entire trip!